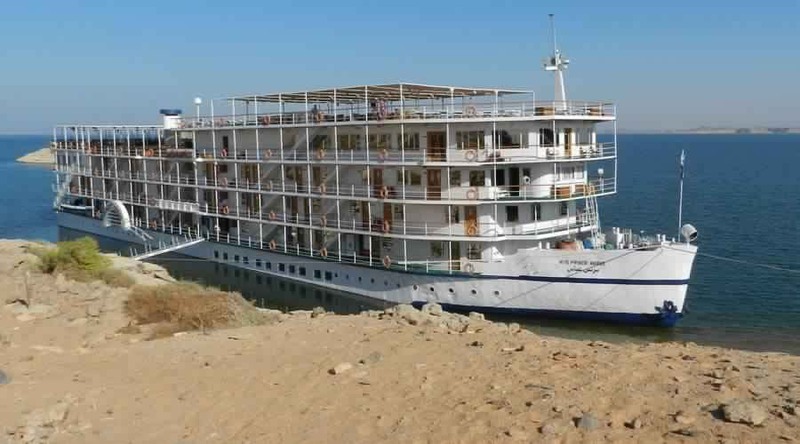 Unique Nasser lake cruise from Aswan to Abu Simble for 5 days is a lifetime experience. Only here you visit remote sights which are accessible only by a floating hotel. Most of them were rescued during UNESCO campaign to save Nubian monuments in Upper Egypt. 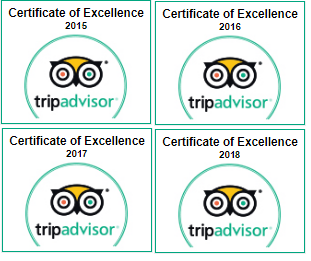 The program starts from Aswan, so if you arrive Aswan International airport or train station we will pick up you from there. 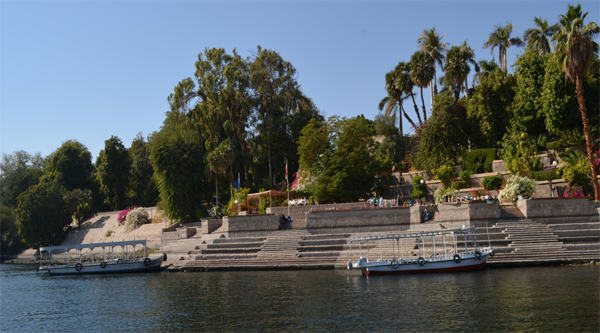 Also pick up from your Aswan hotel and transfer to the floating hotel can be arranged. 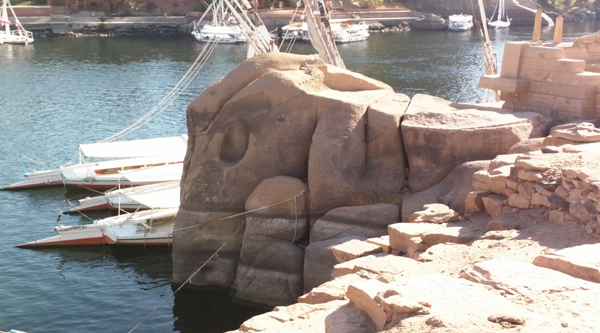 Check in your cruising boat and have lunch, free time at leisure in Aswan. Additional visits can be arranged. Overnight on board in Aswan. In the morning let's visit a beautiful Kalabsha temple which is located at New Kalabsha island. Beside the Mandaluse temple at Kalabsha you will find a beautiful Kiosk of Kertasi, Garf Hussein Temple with huge colossi and a small rock-cut temple of Beit el-Wali. After the visit we will be back to our boat and continue sailing toward Wadi el-Seboua. Lunch and dinner will be served on board while the crew will invite you for cocktail party in the evening. Overnight on board at Wadi el-Seboua. In the morning let's visit the sight of Wadi el-Seboua with its temples. Wadi el-Seboua, Arabic name for "Valley of the Lions", is derived from the avenue of sphines that led up to the temple. The temple dates back to the reign of Ramesses II and was moved to a new site about 4 km west of its original position between 1961 and 1965. Another temple to discover is The temple of Dakka with its elegant pylon, once stood 40 km north of its present site and was dismantled and reconstructed at New Sebua between 1961 and 1965. The temple was started by Meroitic king arkamani (known in Greek as Ergamenes), and was added to by his contemporary, Ptolemy IV of Egypt, with decoration by later Ptolemies. And lastly we will visit the Temple of Maharraqa known as Temple of Serapis. this small Roman temple was originally sited 50 km north of its present position, near the village of Ofendina, site of ancient town of Hierasykaminos. The temple was moved to New Sebua in 1961. When we finish our visits let's return to our boat for lunch and continue sailing to Amanda. 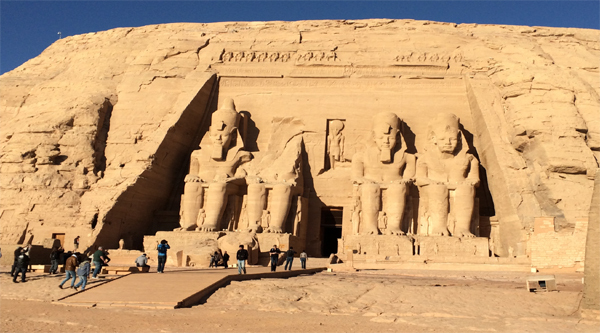 Afternoon visit to the Temple of Amada, the oldest surviving monument on lake Nasser. During the Nubian Resque Campaign, the temple of Amada was moved by a team of French engineers to a position beyond the highest limit predicted for the High Dam lake. Next stop at the Temple of Derr, the temple of Ramesses II is partially rock-cut, it was originally situated on the opposite bank of the nile, 11 km further southwest. And the last visit of the day to the delightful Tomb of Pennut. This small rock-cut tomb belongs to a high official from the time of Ramesses VI and was moved from its original location at Aniba 40 km to the south of its present site at New Amada, five to ten minutes walk south of the reconstructed Temple of Derr. Let's return to our floating hotel for dinner and evening Nubian show prepared for you by the boat's staff. Overnight on boat at Amanda. In the morning we will start sailing towards Kasr Ibrim. Unfortunately the site is not accessible so we will have just 15 minutes to take pictures from sundeck. 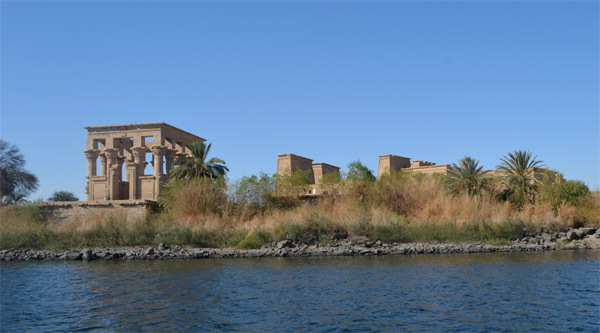 By 1975 Qasr Ibrim was turned into an island due to the construction of High Dam. Because of the fragile nature of the ruins and artifacts that cover every inch of the site, it is not permitted for visitors to disembark and actually walk around it. Cruise ships stop beside the island for twenty to thirty minutes on their way to and from Abu simble, so that passangers can view the ruins from the deck. Exceptionally high floods in recent years have unfortunately submerged several more meters of the site, and have also brought viewers closer to the ruins of the church, which crowns the summit of the island. Let's move forward towards Abu Simble and its famous temples. Afternoon visit to the site. Back to the boat for dinner. In the evening optionally you can do Sound & light show at the temple. Overnigh onboard. On the day of departure after breakfast our representative will pick up you from the boat and transfer to your hotel in Aswan, to Aswan International airport or train station depending on the point of your departure.